Have you joined Nomorerack? If not, go go go! This site has amazing daily deals that cannot be beat! And there is just a flat fee of $2 shipping per item! I have seen everything from clothes to jewelry to kids gear and more! All deals are released at 12 PM EST daily. Go HERE to sign up and get started with saving! There are lots of great deal today. 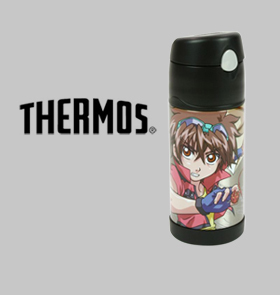 This Bakugan Thermos Brand Funtainer Straw Bottle is just $7. These bottles usually retail between $13.99 and $19.99 at local retailers. I have one of these Funtainer Bottles for both my son and daughter is other patterns. Let me tell you…this is the perfect bottle for keeping drinks cold ALL DAY while the kids are at school. We fill my son’s each morning with ice and water and at the end of the day, ice is always still present in the bottle. These are high quality and perfect for toting water to school each day. Hurry and get yours before they sell out!